The Chicago Blackhawks put up 101 points last season, good enough to be one of 10 teams in the NHL to crack the century mark. It didn't matter because, for the second straight season since winning the Stanley Cup, they were knocked off in the first round of the playoffs. "It is heartbreaking every time you lose the last game of the year and you're shaking hands with the team that is going to keep playing when you're going home," Blackhawks captain Jonathan Toews told CSN Chicago. The good thing for the Blackhawks is unlike in 2010-11, the season after a summer of being crushed by salary-cap constraints, they feel they know exactly what went wrong last season. 1. Will the goaltending duo of Corey Crawford and Ray Emery be good enough? Crawford won 30 games last season, but it was a struggle as he allowed three or more goals in 27 of his 57 appearances in the regular season and in five of his six appearances in the playoffs. Instead of building on a strong finish to the 2010-11 season, he went backward with a 2.72 goals-against average, .903 save percentage and zero shutouts in 57 appearances. By comparison, Crawford played in the same amount of games and only 38 more minutes in 2010-11, but he had 33 wins, including four shutouts, and posted a 2.30 GAA and .917 save percentage. Emery wasn't any better with a 2.81 GAA and .900 save percentage in 34 appearances. However, at least he can fall back on the fact he was coming off major hip surgery that was supposed to end his career. Crawford was supposed to cement himself as the clear-cut No. 1 in Chicago, but he hasn't done that yet. It appears he'll be given another chance this season to become that guy. 2. Is Patrick Kane going to mature and have a bounce-back season? Kane's production has tumbled 22 points to a career-low 66 last season since 2009-10, when he had a career-high 88 points and capped his season by scoring the Stanley Cup-clinching overtime goal against the Philadelphia Flyers. He put up those 66 points last season in 82 games after scoring 73 points in 73 games in 2010-11. He scored a four-season-low 23 goals and dished out a four-season-low 43 assists. Kane's image then took a major hit in early May when embarrassing pictures of him partying at the University of Wisconsin surfaced. Blackhawks general manager Stan Bowman told reporters the organization was disappointed in Kane, who apologized for his off-ice behavior at the Blackhawks Fan Convention on July 20, calling what he did "embarrassing." Image problems aside, the Blackhawks simply have to get more out of Kane this season on the ice. They need him to be a superstar again. "I'd like to see those numbers get back to being a point a game guy or pushing that number," Chicago coach Joel Quenneville told NHL.com. "That's what we expect and what he should expect of himself. I think he's capable of being above those standards, so we look forward for him to get rolling." 3. Will Chicago's special teams be better? Chicago was 26th on the power play last season at 15.2 percent. It was 27th on the penalty kill at 78.1 percent. By comparison, the Hawks were fourth on the power play in 2010-11 at 23.1 percent but still just as poor on the PK at 79.2 percent. The drop in the power play from 2010-11 to 2011-12 was a result of a lack of chemistry between Jonathan Toews, Patrick Sharp, Patrick Kane, Duncan Keith and Brent Seabrook. The Hawks received a combined 117 points on the power play from those five in 2010-11, but 58 points last season. Another problem is they never had a true net-front presence. The problems on the PK go back further than last season. Chicago's PK has been problematic since it won the Stanley Cup in 2010. Quenneville doesn't believe it is a personnel problem, so it falls on the coaching staff's shoulders to get it fixed. 4. How healthy is Marian Hossa and will he be the same point-per-game player? The last image the hockey world has of Hossa is not a pleasant one. He was sprawled out on the United Center ice after getting run over by Phoenix Coyotes forward Raffi Torres in Game 3 of the Western Conference Quarterfinals. Hossa was unconscious and diagnosed with a concussion after spending the night in the hospital. Torres received a lengthy suspension from the NHL that barred him from playing for the rest of the postseason and will keep him on the sidelines for the first eight games of this season. Hossa, who still doesn't recall the hit or the events soon after, has been training this summer and said he has not experienced any side effects from the concussion. He expects to be ready and at full strength for the start of the season. More will be determined in training camp, when Hossa has to hit and be hit, but for now it appears the Blackhawks should have their dominant point-per-game forward back in the lineup. "Yeah, he needs to play," Quenneville said. "We anticipate he'll be fine, but there have been a lot of guys in our League over the few years that have had a similar injury and it takes time. But we expect him to get back and contribute significantly in all areas because he is so important to our team." 5. Is Andrew Shaw the real deal? Shaw was the surprise, feel-good story for the Hawks last season. Chicago's fifth-round pick in 2011 had 23 points in 37 games and started to develop himself as a guy who could become a prized agitator/scorer. He instantly became a fan favorite and media darling in Chicago. This season, though, Shaw will have to prove the progress and potential he showed last season as a grinder with offensive ability was not a fluke. He will be given a chance to become a key secondary scoring forward for the Blackhawks and it'll be up to him to grab onto the spot and run with it. The Chicago Sun-Times reported last month that Shaw has bulked up and added 12 pounds of muscle this summer. That will only help his cause to become a more powerful forward. "This kid has got an amazing attitude and he plays the game at a different level as far as his bite and his intensity," Quenneville said. "I use the word relentless to describe the results you get from him in the course of a game. You can only admire him. His teammates appreciate what he brings. He's fun to watch." 6. Will Joel Quenneville make it through the season? The Hawks coach was the toast of Chicago, the toast of the NHL after guiding the franchise to its first Stanley Cup championship since 1961. Now it's fair to say his seat is warming up and a slow start could convince Bowman that a change is needed behind the bench. Quenneville decided to fire assistant coach Mike Haviland after last season largely because of Chicago's struggles on special teams. For the first time in his tenure as Blackhawks coach Quenneville has two assistants (Mike Kitchen and Jamie Kompon) he hand-picked himself. 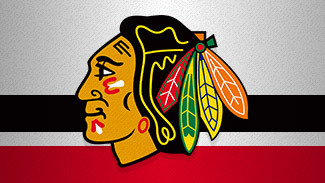 The assumption now is if the Blackhawks don't get out of the gate fast, Quenneville's job could be in jeopardy.